As my courses wind to an end for the term, I start to think about summer (and yes, I am aware that it is May). Sure, I have summer classes that will probably make me curse the format of distance/online classes that are mandatory for my program, but isn’t that what school is all about? Making students grind their teeth? But on a more serious note, what am I going to be doing this summer in regards to Blythe? 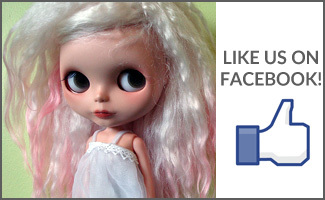 Firstly: working on BlytheLife! I have lots of plans for upcoming posts, notably Blythe On A Budget posts, some DIYs in the future, perhaps some free patterns, more interviews, and, of course, giveaways! As my course load goes down, I will have some more time to devote to writing, which makes me immensely happy because Blythe is one of my favourite topics to go on and on about, too bad some people I know offline don’t think that Blythes are as fascinating of a topic. Next I will be creating a wardrobe for Kitty Brighton. As previously stated, the poor thing doesn’t have many clothes and it’s starting to be really pitiful. She’s not nearly as demanding as Sophie is, but just as whiny. I’m surprised I made it this far without breaking down and just buying everything she could possibly need off of Etsy. Unfortunately for her, and fortunately for my bank account, I do have several pattern books with items that just might fit her fairly well. I’ve read that Odeco and Nikki patterns should fit Middie, so this is good news for Brighton! As August comes nearer, I’m planning my trip to Seattle! 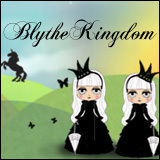 I look forward to meeting people who share in my love for Blythe. 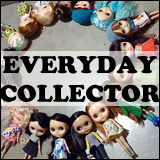 As the day nears, I’ll be blogging about wardrobe planning for the dolls, and who will be the lucky few that will be going to BlytheCon with me. Chances are, very familiar dolls will be going with me. I have plans for catching up with friends, both new and old, and lots of shopping to do! I’ve been fairly restrained so far this year in terms of buying dolly things, so I’m looking forward to getting some new goodies for the girls. 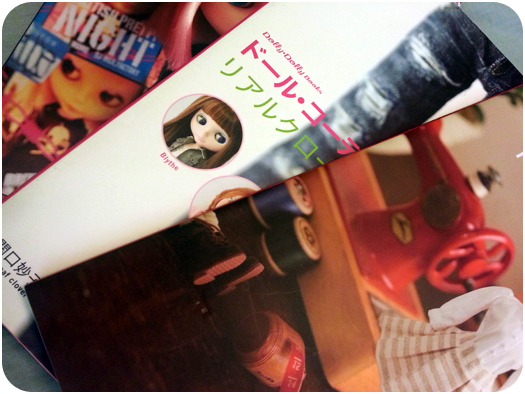 And lastly, I will sewing my way into a wardrobe for the Blythes as well. I have so many Doll Coordinate Recipe books, that it’s such a shame that I haven’t been using them to their full potential just yet. I plan on sewing new pieces for my dolls to both further my sewing skills and to increase their wardrobe without completely breaking the bank. We’ll have to see how successful I am at it though, hopefully it goes okay! What are your upcoming summer plans? QOTW: Are your dolls summer ready?